Chinese participation in drone classification in international trade and its defense of the interests of the industry shows that the nation's discursive power has strengthened in international trade rule-making and the progress of the country's high-tech industries, Chinese experts told the Global Times on Thursday. China's DJI drone was classified a "flying camera," the World Customs Organization Harmonized System Committee (HSC) determined in September. Another innovative Chinese high-tech product has won a "passport" for international trade, the General Administration of Customs said on Monday. "This is another triumph for 'made in China' in defense of the interests of its high-tech companies," Ke Yubao, executive secretary general of the Aircraft Owners and Pilots Association of China, told the Global Times on Thursday. "We have seen more and more Chinese innovative products take the lead in the world now, but the world doesn't have unified classification for such products," Ke said. "When these products are exported to different countries, different standards held by the countries may hurt our companies' interests," Ke said. China has started guiding rule-making in international trade, rather than just adapting to the established rules, as the country's high-tech industries progress, said Mei Xinyu, a research fellow at the Chinese Academy of International Trade and Economic Cooperation in Beijing. The modification in drone classification shows China's discursive power has strengthened in international trade rule-making, Mei said. At the 61st meeting of the World Customs Organization Harmonized System Committee in April, the classification of drones fell into the category of "camera-equipped aircraft" that was unfavorable to China's advantageous industries by only one vote. At the meeting, Chinese customs representatives made full use of the rules and made a temporary conclusion of "reservation opinions" and earned valuable time for the industry until the meeting in September. "It might have something to do with US alleged security concerns over Chinese drones," said Mei. Chinese commercial drone maker SZ DJI Technology was formerly blacklisted by the US Army due to alleged "security concerns," which shows the US has massive concerns about Chinese companies leading over US technology companies. As Chinese high-tech companies are growing fast, China has taken part in rules-making in many areas, said Ke. 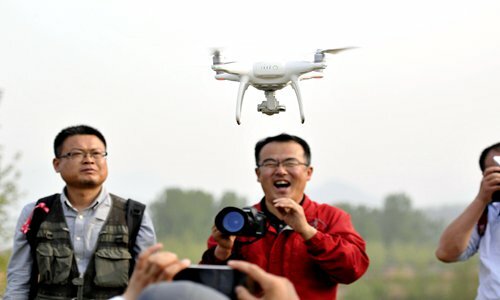 The local customs authority where DJI is located took part in the discussion and said that this will largely facilitate Chinese drone products to approach other countries civil-use markets. "We will continue to go deep in industries and companies to learn their classification needs and offer more support to help them in international trade," said the Shenzhen Customs Administration of South China's Guangdong Province.